Education is the soul of our society while growth comes with quality education! One such Founder who believed in this ideology was Padmabhushan Late Shri. K.J. Somaiya. 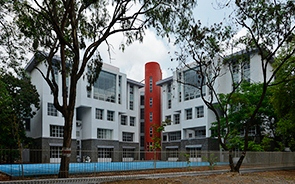 Somaiya School is the youngest institution on Vidyavihar Campus in Mumbai moulded by the late founder to provide stress-free education to all its students. We at the Somaiya School follow the footsteps of our founder and stay true to his roots and belief of understanding Indian culture, values and love for languages. Started in the year 2012 with a mere strength of 107 students and 32 staff, we are a CBSE (Central Board of Secondary Education) affiliated school. Our classes are well equipped for students from Nursery to 9th Grade. school has complete infrastructure to accommodate classes up to 12th Grade. Today we are an institution with the strength of 114 staff & 980 students. 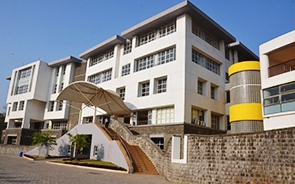 Our School boasts of well-equipped Laboratories & ICT Labs & Library for students. Student friendly furniture and Infrastructure, air-conditioned auditorium, basketball, volleyball court and a resource room for our tiny tots are some of the many highlights of our school. Pre-Primary Class: 22-23 students per class across all levels. Primary Class: 30 students per class. At Somaiya School, we take utmost care of our students. Students are monitored through CCTV cameras. These cameras are installed at all prime locations and throughout the infrastructure. Cameras installed at the entry points of the school are continuously monitored by the security of Somaiya VidyaVihar. Our students are our priority. Even our transport vehicle is equipped with CCTV cameras. The vehicle is well set with GPS system. Similarly, each school bus has a Didi (special school staff) on board too. A school without a period called Interval is incomplete. We believe in wholesome nutrition. Students at Somaiya school are offered nutritious food for lunch. This facility is available for students from Grade 1 to Grade 8. Pre-school children; too are offered a healthy snack in the morning. If studying enlightens one’s mind, at Somaiya we believe even a good Physical Education can mold a student’s future. Our students are not just trained to be bright in studies but they are physically healthy and fit too. Our after school Sports and Cultural Activities give them the alternative/ preference to choose from a plethora of activities which they can pursue. A team of Qualified and Trained teachers design our curriculum and execute the same. We train them as per our philosophy. 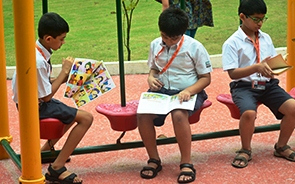 The School offers conducive and encouraging atmosphere to students. Learning is fun here and students are happy to come to school. While, we are extremely considerate about every kid’s overall growth, we leave no stone unturned in helping students who may require special attention. Every kid’s growth is important to us. Hence, a team of Special Educators and Counselors are appointed who can offer counseling, understand students provide help and nurture them. 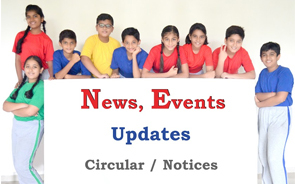 At Somaiya apart from physical and theoretical knowledge & life skills we believe in honing every child’s brain development in best possible ways, through various activities or events. Events such as BEAMS The Science exhibition, Mathemagica the MathMela are organized where students manage the show. We encourage art too, in a big way by holding Little Picasso the ArtMela, where a student’s work is not just displayed but sold too. A student’s progress is a school’s progress. 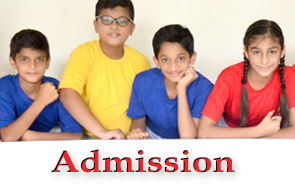 At Somaiya apart from the other curriculums, we believe in letting every parent know their kid’s growth too. For this, we organize Open Day. On this day, teachers share the progress report of kids with their Parents. Open days are held at regular intervals. 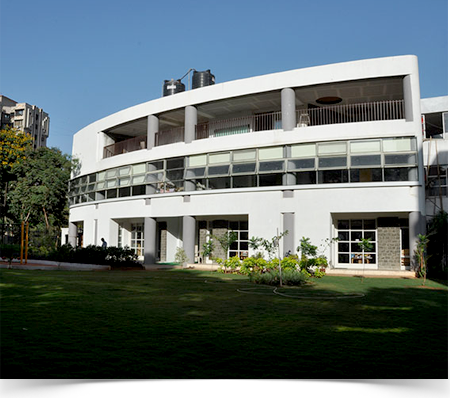 At Somaiya School, our facilities and resources are exceptional. Come! Join Us! Join the League. Subscribe to our weekly Newsletter to get the most of our news.